It’s “all in the family” with the Wines Team at Saunders & Associates in Southampton. Participating in the recent sales of numerous large development projects on the East End, it is no surprise that this dynamic team is ranked in the top one percent of real estate agents in United States. John, Bill, and Marina Wines bring a unique combination of qualities and competencies to each and every real estate transaction they handle. 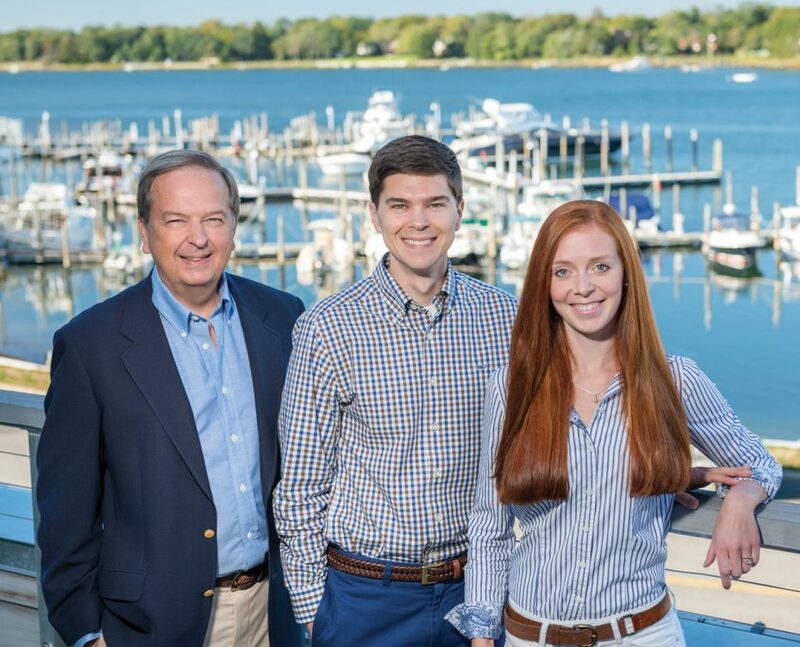 John’s background in the construction industry and real estate finance is complemented by the analytical skills of his son Bill, who has an MBA from Boston College. They understand that acquiring or selling real estate — commercial or residential — is a financial transaction and, accordingly, strive to provide their clients with sound advice. Meanwhile, Marina, Bill’s wife, offers a personal approach and creative flair that perfectly balances the more business-minded styles of John and Bill. Equally as important, the Wines Team knows the ins and outs of the communities and markets that make up eastern Long Island. That’s because John and Bill were born and raised on the South Fork. In fact, the Wines family settled on the East End in the 1640s, assisted in the formation of Southampton Village in the 1890s, helped establish the Peconic Land Trust in the 1980s, and continue today to protect the quality of life in the Hamptons. At the same time, Marina, who hails from Germany, rounds out the team by providing a fresh international perspective to the mix. Like any other industry, managing real estate transactions in the Hamptons can be a tough business; however, the Wines Team firmly believes that honesty, integrity, and professionalism are important keys to success. As a result, they were recently ranked number 15 in the nation by Real Trends and the Wall Street Journal for average sales price. What’s more, the Wines Team also represented one of the largest Hamptons sales and ranked as a top producing team in New York State for total sales volume.